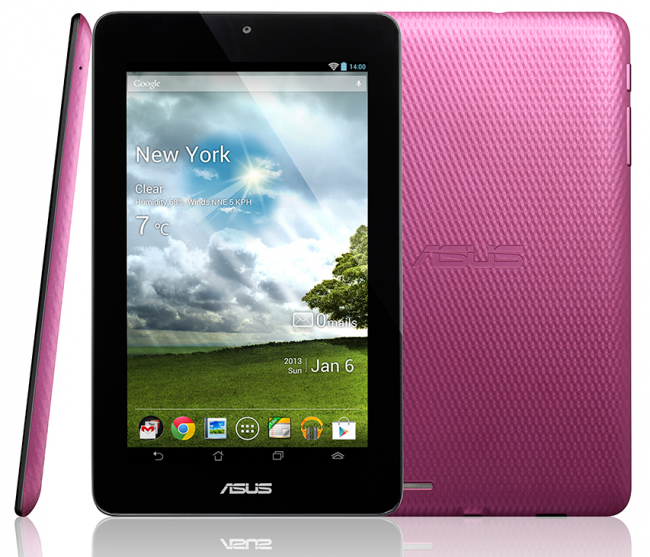 This morning, ASUS’s budget-friendly MeMo Pad 7″ is finally official. We have seen plenty of render leaks and spec leaks, but we are sort of surprised that they have gone ahead and launched the device right before MWC. Either way, it’s out now, and the specs have not changed since we talked about them previously. The tablet features a 7″ “HD” display with a resolution of 1024 x 600, runs Android 4.1 aka Jelly Bean, claims to have up to seven hours of battery life, and even has a microSD slot. Correct me if I’m wrong, but I think ASUS is misusing the term, “HD.” That resolution might be HD for something such as a calculator or possibly even a toaster. And get this, the MeMo Pad is perfect for helping the youth vandalize our cities one wall at a time. Check out 0:43 in their promo video, as an apparent juvenile defiles a public wall with graffiti art. Thanks, ASUS! But in all seriousness, what are your thoughts on the MeMo Pad? We know it’s a cheap tablet, said to be priced at $150 and due out in retailers sometime soon, but that doesn’t mean it’s cheaply made. We wish it had a better display, because at such a low resolution, I wouldn’t even think to pick one up. What do you think?